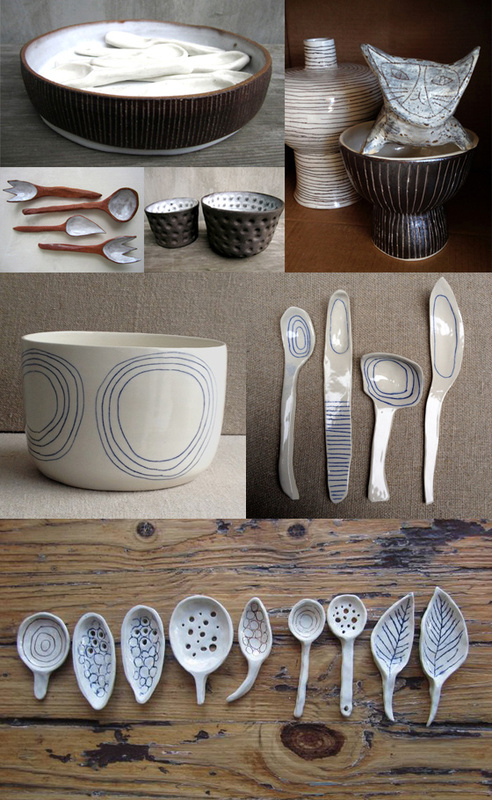 I absolutely fell in love with the amazing ceramics of Brooklyn-based artist Paula Greif. Paula’s namesake ceramics line was conceived when the former art director decided to remake everything in her kitchen with her own hands – inspired by American stoneware bottles and Mexican folk pottery, each piece is unique and resonates with Paula’s tenacious and instinctual approach to creating. Oooh I do like these and what a great idea to remake everything in your kitchen yourself! The ceramic bowl with the blue circles is great!